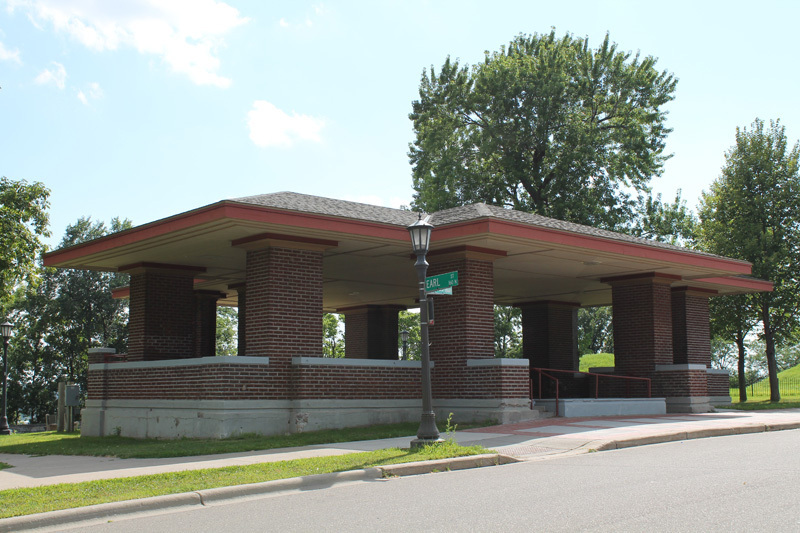 This Prairie-style structure, with its low-hipped roof and horizontal feel is a rarity in the Twin Cities since most other Prairie style buildings are houses or commercial buildings. 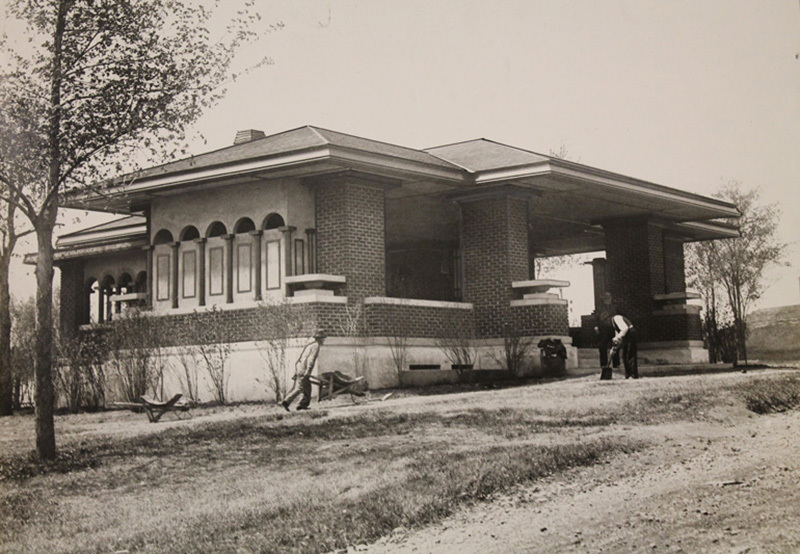 It was designed by Charles H. Hausler, who was born in Saint Paul and apprenticed with Louis Sullivan in Chicago before getting a Minnesota architect’s license in 1908. Six years later he became the first City Architect and designed many municipal buildings and other structures some of which are on the National Register of Historic places. 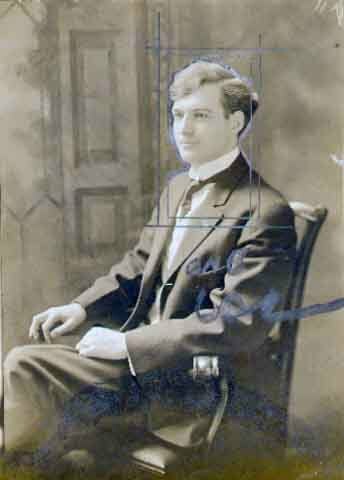 In 1923 he started a political career and served eight terms in the Minnesota Senate, afterwards returning to private practice. 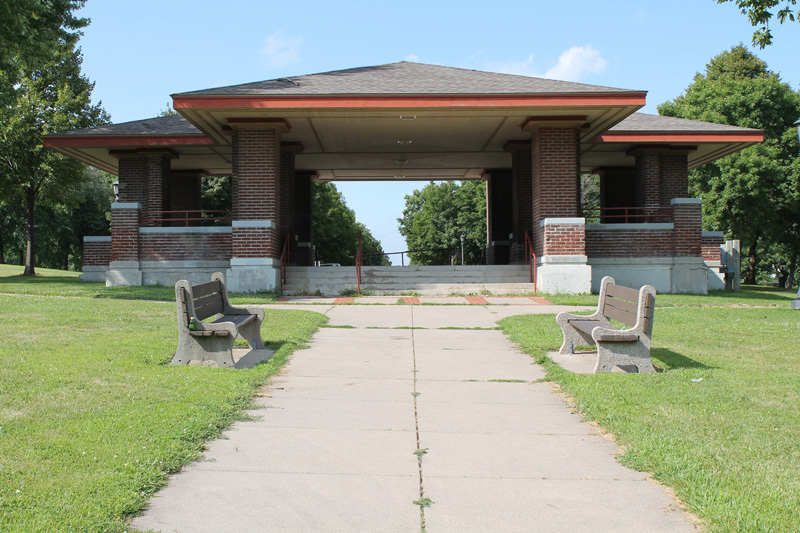 Steve Trimble, “The Prairie Style Park Pavilion,” Saint Paul Historical, accessed April 19, 2019, https://saintpaulhistorical.com/items/show/21.